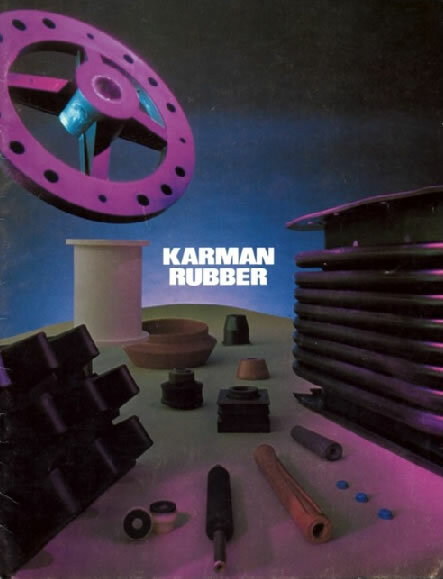 Shown here are just a few of the custom molded elastomer and elastomer bonded to metal parts Karman Rubber produces for companies throughout the United States and the world. Our modern manufacturing plant in Akron, Ohio is staffed by personnel with many years of experience. We offer compression transfer and injection molding services. For 72 years we have been a reliable source for high quality custom molded elastomers, and elastomer to metal bonding. Send us your prints and specifications on the next part you need and let us quote based on your requirements. We would appreciate the opportunity to quote your business.